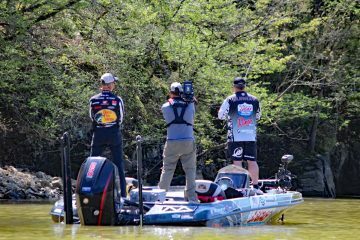 I walked up to Andy Morgan, storing rods after his first day fishing the Major League Fishing® (MLF) Stage Four event on Chickamauga Lake Wednesday. Rhea County Sheriff Mike Neal was there talking to his good friend, Morgan. “Is he under arrest,” I asked Sheriff Neal jokingly. 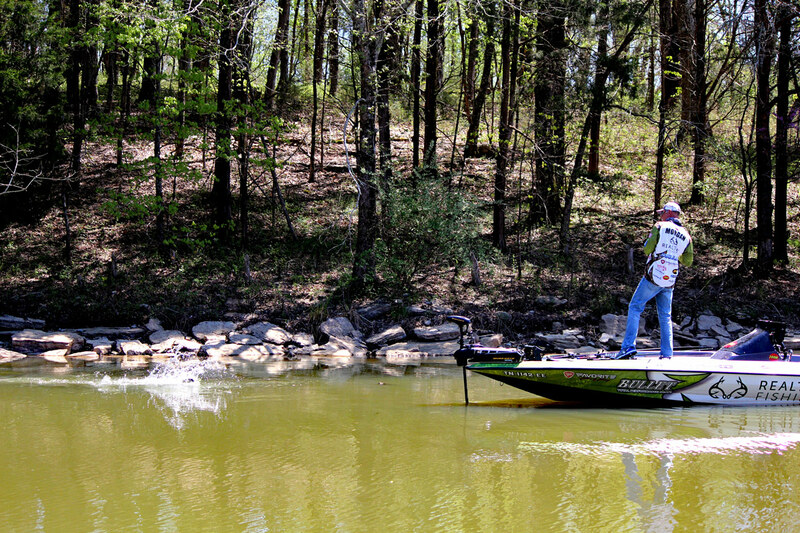 That pretty much summed up how Morgan felt about his day after landing in 21st place out of a field of 40 anglers. 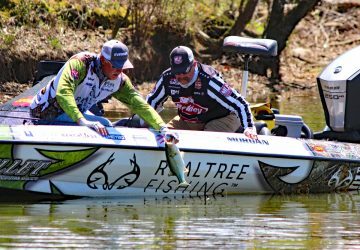 In MLF events anglers fish two “Shotgun Rounds.” Only the top 20 anglers in each of two groups advance to Saturday’s “Knockout Round” when the 40 anglers are pared down to the Top 10 who will fish Sunday’s Championship Round. That puts Morgan just outside the cut line, meaning he has to improve at least one place Friday to make the cut. Morgan boated a total of 31-08 pounds of bass Wednesday. 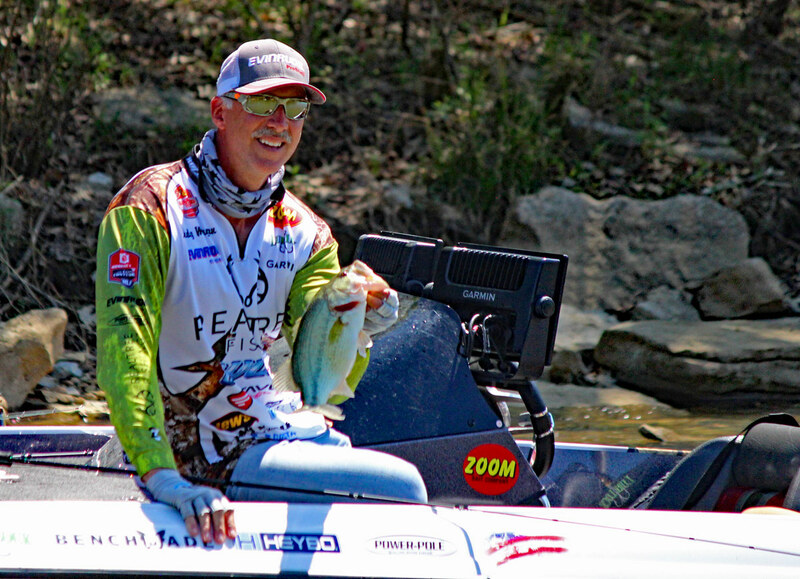 The first-place angler, Cliff Crochet, boated an incredible 69-06. 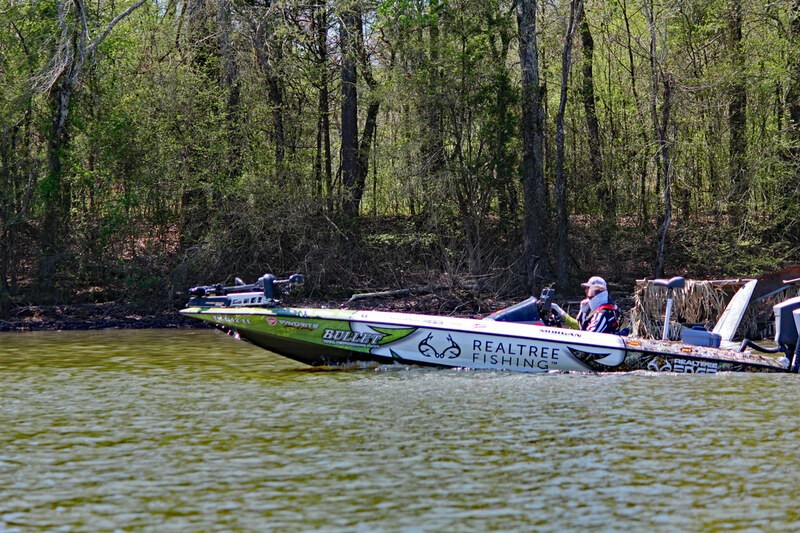 He caught most of his fish in the 2.5 hour first period, a record one-period catch ever in an MLF event. With an insurmountable cushion he spent the remainder of the day scouting for new places. Edwin Evers finished second with 55-2, Zack Birge was third with 51-4. Michael Neal, another ‘hometown’ angler from Rhea County fared better than Morgan coming in 5th Wednesday with 47-10. 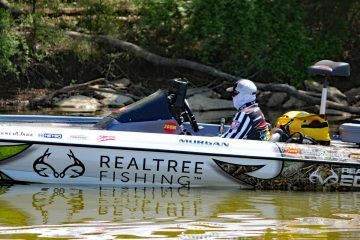 Pro angler Jacob Wheeler who moved to the area two years ago specifically to be near Chickamauga Lake squeaked in just ahead of Morgan at 20th place with 32-10. Rhea County pro Wesley Strader had a poor day, at one point riding last place in the 40-angler field. 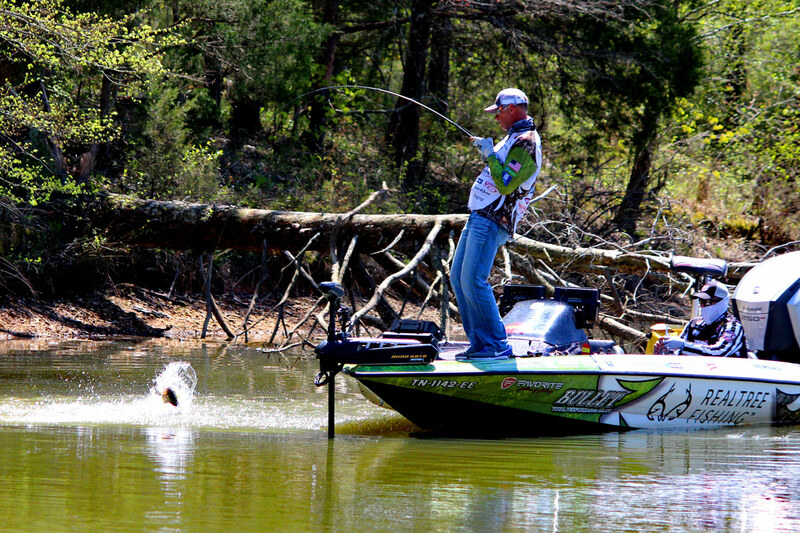 But by “lines out” time at 3:30 Strader made his way up to 31st place with 20-13. If they can’t watch the live stream, fans can keep up with daily scores live on the MLF SCORETRACKER. 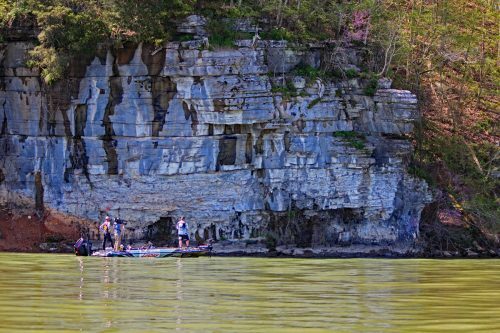 Morgan, who calls Rhea County home, has fished Chickamauga his entire life and admits that sometimes fishing home waters can get in your head. In the two hours we followed Morgan on the water he fared well, boating several fish. “Yea, that was a good spell while y’all were there but I think after you left I only got one bite,” he said. 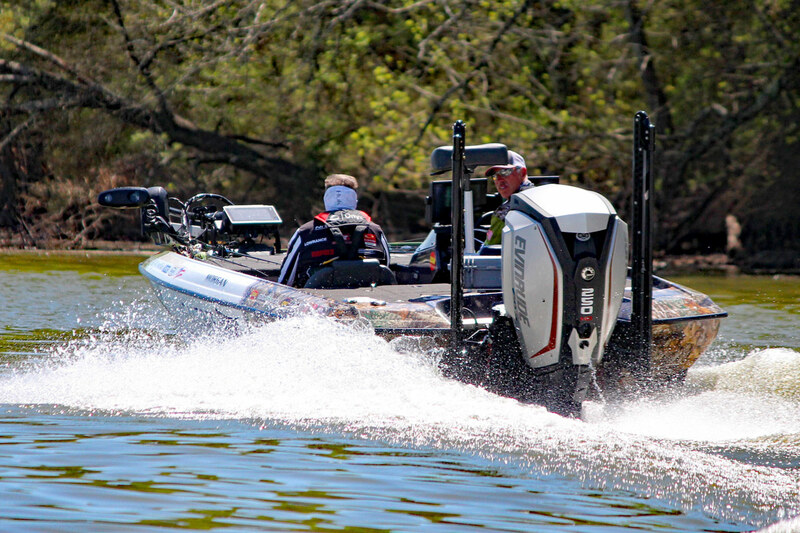 The MLF tour has reinvented bass tournaments. Instead of weighing in their five biggest fish at the end of the day, every bass angler’s catch that weighs more than one pound is scored by an official riding in the boat and immediately returned to the water. Morgan, along with several other anglers who made their careers fishing FLW or B.A.S.S. events defected and switched to MLF this year. 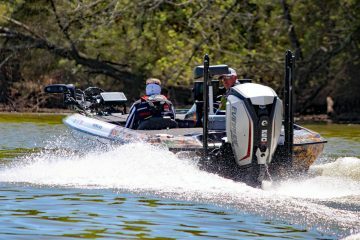 After fishing in four MLF events this year Morgan says it was a good move. 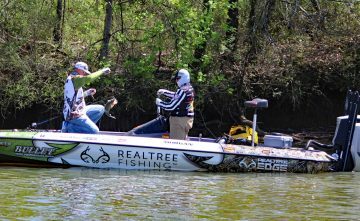 The new format also eliminates the need for anglers to rush back from wherever they’re fishing to beat the clock. Total fishing time is seven-and-a-half hours but anglers can run to their fishing spots before the 7:30 am start time. 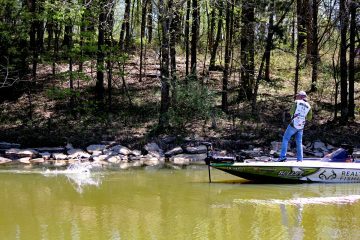 Morgan says even though fishing days are shorter than most other formats, they actually get more fishing time using the MLF format. 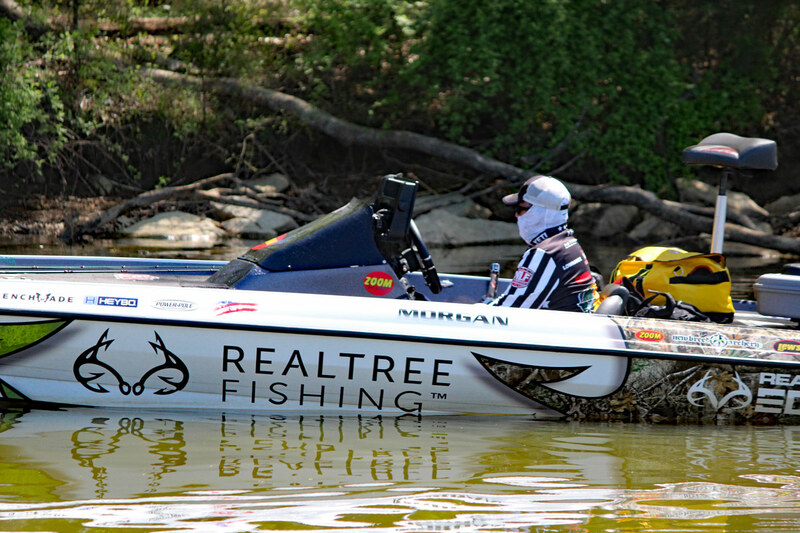 The MLF format is also good for sponsors. 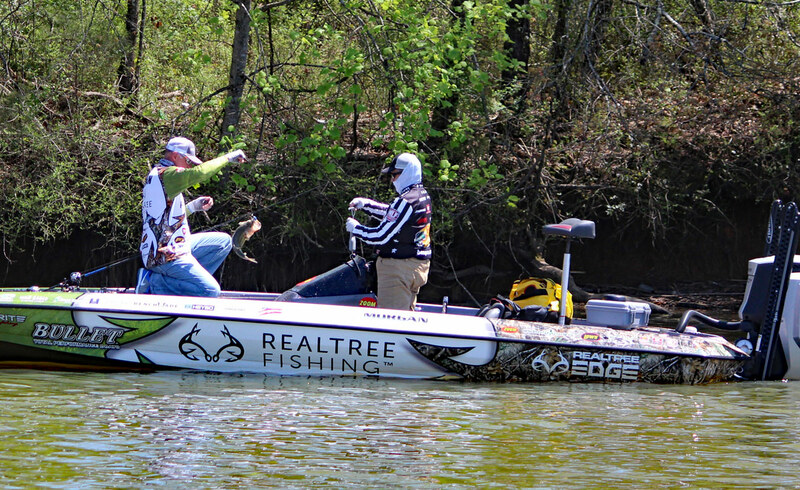 Throughout every six-day event there are live cameras on the water with anglers. Fans can watch live every minute either online or on the OutdoorTV network. 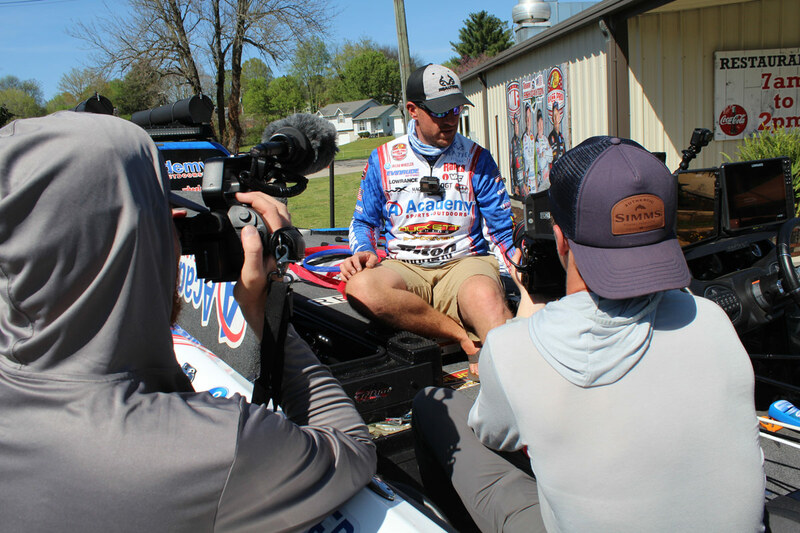 That means the anglers’ sponsors, prominently displayed on jerseys and boats, get a tremendous amount of exposure. 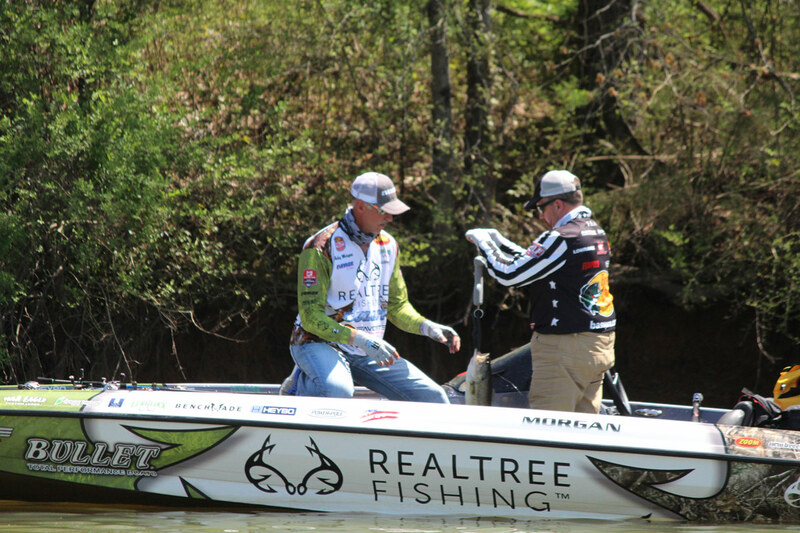 For the first time ever Morgan’s primary sponsor this year is Realtree camo. “Yep, I’m flying new colors. It’s been good. The sponsor game is real good,” he said. And he is not bothered by a live camera watching over his shoulder. Morgan says when he fishes on Friday, his primary change will be a new location. “I will not start where I did today, I promise you,” he exclaimed. Mike Ketcher was the official assigned to ride with Morgan Wednesday. He says sitting there watching all day never gets boring. 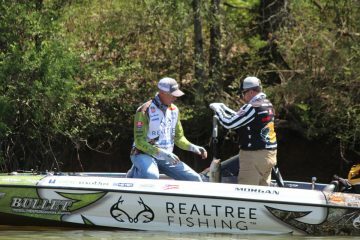 Every time Morgan set the hook on a bass, Ketcher was up and ready with the official scale before Morgan could even get the fish in the boat. Group A anglers, who fished their first day Tuesday, are back on the water today (Thursday). At the end of the day only the top 20 will advance to Saturday’s round. That means some excitement for anglers and fans as the clock winds down in the afternoon. You can watch it unfold live right here.